What is Sweet Honey Dip Chocolate Brown Sugah Scrub? Sweet Honey Deep Chocolate Brown Sugah Scrub is a body exfoliating scrub and moisturizer made by manufacturers Carol’s Daughter. It is an incredibly health-conscious product which uses many natural ingredients to ensure the greatest success for your skin. 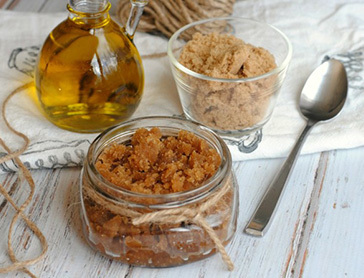 Make yourself softer and cleaner with hydrating oils and deep-cleaning pieces of brown sugar to peel away dead skin. The product has been a huge hit with many people for its wonderful, long-lasting smell and oils that leave the skin vibrant after even the first use. It is great for both men and women, who will find its chocolate-y scent both relaxing and enticing. Sweet Honey Dip Chocolate Brown Sugah Scrub can support your young, healthy skin every day through a perfect storm of good qualities. The chunks of brown sugar you will find all throughout your Sweet Honey Dip Chocolate Brown Sugah Scrub are REAL! They are your best friend when it comes to grinding away that dead skin that leaves you feeling dirty & looking dry. Once the sugar has peeled away the top layer of nastiness, Sweet Honey Dip Chocolate Brown Sugah Scrub’s powerful mix of essential oils gets hydration deep into that revealed layer. This not only revitalizes skin, but protects it from further harm. This powerhouse of oils not only helps your skin, but is what makes smell Sweet Honey Dip Chocolate Brown Sugah Scrub so good. Simply rub this product anywhere you feel needs its revitalizing powers. People choose this product for its soft exfoliation which penetrates deep without causing discomfort. A big bonus for many is the fact that the active ingredients in this product are all natural items you might find in your own home: sugar, olive oil, coconut oil, honey, etc. This gives the product a sense of safety unmatched by many synthetic skin care products. 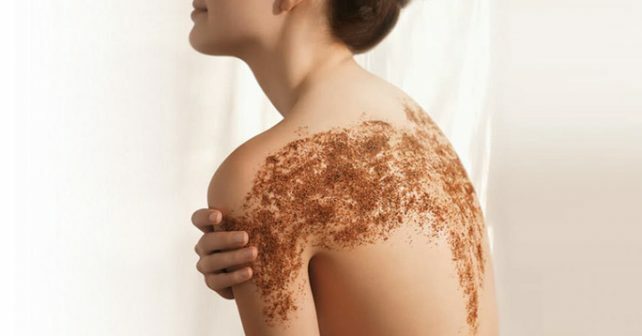 Though it is mainly geared towards women, Sweet Honey Dip Chocolate Brown Sugah Scrub is a great unisex exfolaint. It also smells terrific, a long-lasting, smelling fragrance with elements of rich, dark chocolate and nuts. While this scrub is meant for both men and women, some customers complained that the lingering scent of Sweet Honey Dip Chocolate Brown Sugah Scrub was “too masculine.” It has also been shown to be ineffective for extreme cases of dry skin. As with all exfoliating products overuse can make skin worse rather than improved. This product is fantastic. Despite any supposed drawbacks, it is remarkably beneficial. It feels gentle and easy on the body but produces lasting results that you can’t miss.